Wealth Factory's mission is to manufacture economic independence for 1 million entrepreneurs by 2020. Professionals (like dentists, orthodontists, optometrists, and veterinarians) and entrepreneurs typically focus on what they do best, and that's running a great practice and providing state-of the art service. Managing their personal finances often takes a back seat, and this can create tremendous personal and professional stress. And as their business grows, so might the complexity of their finances. So providing a proven, comprehensive solution is well-received by this group of professionals. Wealth Factory fills that gap and provides an integrated team approach that brings together asset protection attorneys, accountants, retirement planners, investment advisor, insurance experts, estate planners, and cash flow specialists. This is very similar to the kind of integrated services provided by a boutique family services firm for high net worth individuals, but without the high price tag (or the $50M net worth qualifier). Advice and implementation happens in a custom-tailored sequence, facilitated by a financial quarterback so you do not have to waste time. Our financial team customizes and facilitates each step of assembly and implementation. In the beginning, that might look like finding hidden fees in the your finances and investments, optimizing loan structures, identifying duplicate insurance coverages, or finding that you are overpaying on taxes. There are more components for unique situations, but these are the core foundational pieces we teach. The remaining pieces are offered on a customized basis as your individual needs dictate. This is because every small business is different, and the needs of every professional and entrepreneur is unique. 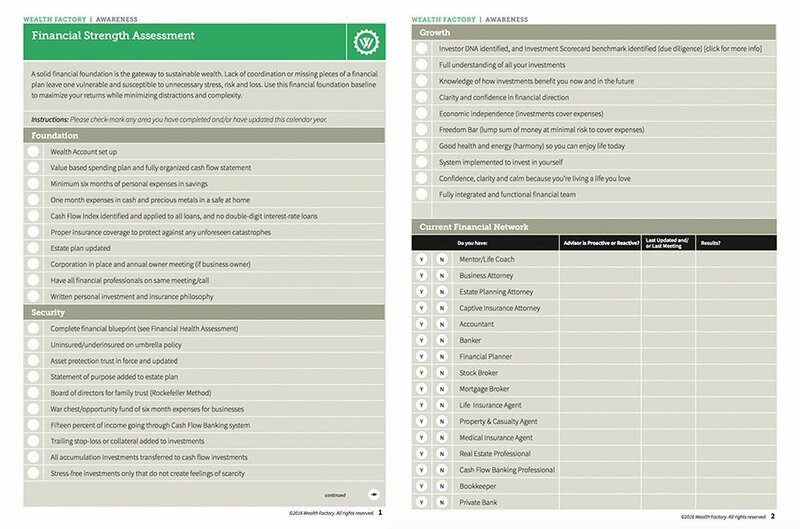 Wealth Factory provides diagnostics to help clients identify their own unique Investor DNA based on personal strengths and interests. This approach simplifies all their business and investing decisions in an objective way, fully aligned with their life objectives. This financial clarity frees up the client to excel in every area of their personal and professional life, and provides the clear vision to create a lasting legacy. Unlike traditional financial plans that only focus on what you have stored away in other people's business (like stocks and bonds), we help you identify how your own business can become an integral part of your wealth plan. Since we're entrepreneurs too, we understand the specific and unique needs of business owners and professional service providers. Traditional financial plans generally focus on retirement planning alone. They ask you to give them your money for 30 years and hope for the best. This "traditional" approach to personal finance goes completely against all the good principles of money management you use to run your business. So if your current financial planner doesn't understand your business, he can't possibly understand you or your unique financial needs. Using the tools we give you, you'll discover painless steps to take back control of your money and your wealth plan using your biggest asset -- YOU and your business. This is the only method we've discovered that puts entrepreneurs like you in complete control of your financial plan. 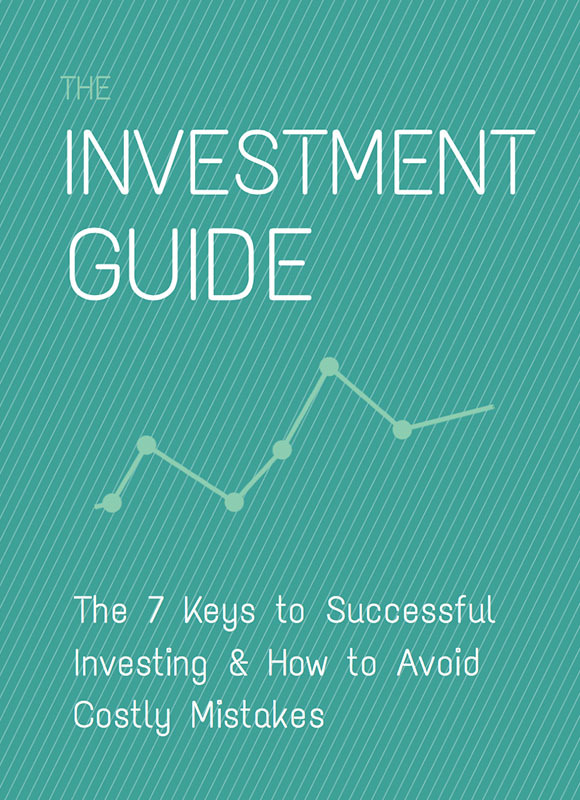 It leverages what you know best to preserve your wealth and help avoid painful investment losses. We absolutely are not suggesting that everyone who invests in the stock market loses money. We are suggesting that investing in areas you're most educated in may yield you a higher return. Our goal is to help you explore those possibilities so that you can make financial decisions from a place of strength and knowledge. And if other people in your life play an important role in your finances, whether that be your significant other or your CPA, you will have their backing because you can make decisions together as an informed unit. As busy entrepreneurs ourselves, we're mindful of the hectic pace of life that comes with owning your own business. That's why our trainings avoid overly technical economic theory or confusing financial terminology. Instead, we explain everything in full detail, without jargon, using simple direct language that gets to the point quickly to save you time and money. If you want to build sustainable wealth, increase your monthly cash flow and enjoy economic independence without using budgets, cutbacks, limiting your lifestyle or adding new customers to your business, then Wealth Factory can help provide the tools, the team, and training you need to build the life you love. Our mission is to help 1 million entrepreneurs build their wealth architecture by 2020. Join us. 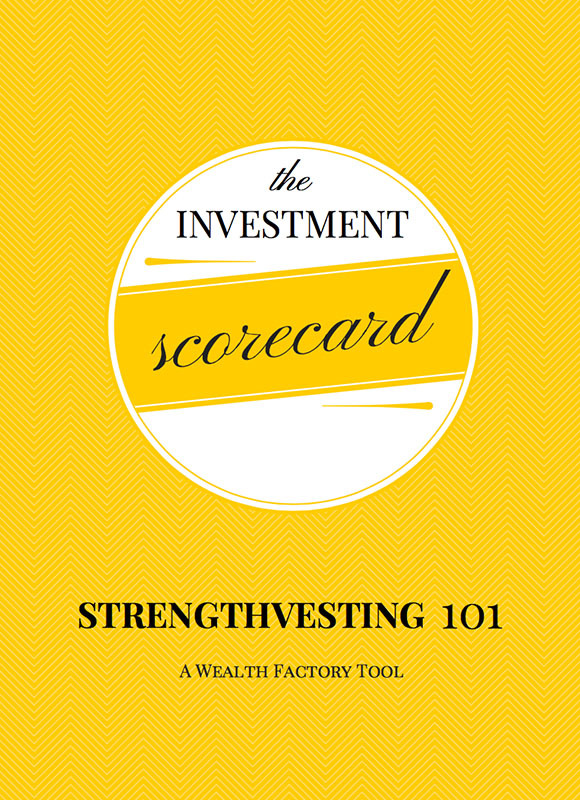 We developed this unique Strengthvesting™ approach to take into account your individual strengths, investing knowledge and personal Investor DNA™. Because your investments are too important to be left to chance. Identify investments that match your entrepreneurial instinct. 3 ways to identify where you're leaking cash. A solid financial foundation is the gateway to sustainable wealth. Lack of coordination or missing pieces of a financial plan leave one vulnerable and susceptible to unnecessary stress, risk and loss. Use this financial foundation baseline to maximize your returns while minimizing distractions and complexity.